Tandberg Data SLR75 external tape drive. Condition is Used. 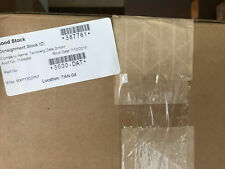 This item is new and sealed in original packing. Will ship Friday after sale. No PO Box shipments. No returns on tapes. 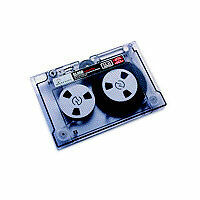 The DAT 320 tape provides the highest capacity and. maximum data security. data encryption for maximum security and regulatory compliance—perfect. looking for higher capacity and the security of hardware data encryption. 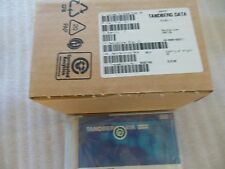 Tandberg SLR75 6850 Internal Tape Drive Data 38/75GB. Tandberg SLR75. Tandberg item #6850. Internal SCSI. Internal SCSI Cable available. Fully tested by a Qualified Tape Technican. During the warranty period any item found to be defective will be repaired or replaced. 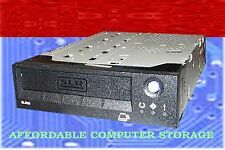 Tested working Tandberg Data SLR3 1.2GB SCSI Internal Tape Drive Black Bezel With Tray Caddy. Condition is Used. Units are working pulls. This is an genuine product from this manufacturer. DAT320 CLEANING UP TO 75 . NEW TANDBERG SLR2 525MB SCSI TAPE DRIVE. UNUSED, SPARE DRIVE. · Model/Part #:SLR2. · Manufactured by:Tandberg. "NEW" Tandberg Data 8813-RDX QuikStor Int. Drive SATA II USB 3.0 260MB/s 5.25"
"NEW" Tandberg Data 8813-RDX QuikStor Int. Drive SATA II USB 3.0 260MB/s 5.25". Factory sealed. Incompatibility does not qualify as “defective”. 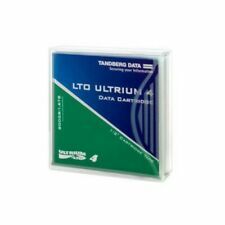 Here is a NEW In Box Tandberg Model 1000 Data Storage Loader, Ultrium LTO-2 1U. Also known as Tandberg Spare Part Number 6969. Comes only as pictured in factory packaging. 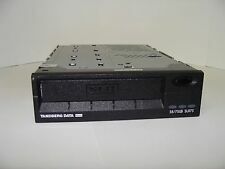 TANDBERG DATA STORAGELOADER 1000 1U LTO 8-SLOT AUTOLOADER, ZERO-DRIVES. 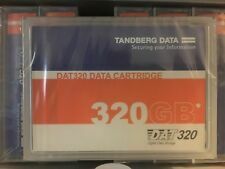 TandBerg Data. Tape Autoloader. ACS is all about computer data archiving products for any storage needs to protect your vital data from any type of disaster. Tape drive. In addition to providing an energy saving, the low power consumption improves the drives reliability and increases its MTBF as the drive produces less heat. The Tandberg LTO-3 drive supports WORM (Write Once, Read Many). Part No. 420LTO. USED TandBerg Data Tape drive SCSI LVD ULTRIUM2 LTO-2. 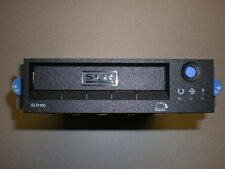 LTO2 200/400Gb SCSI Internal LVD/SE Tape Drive. It is an affordable solution for SOHOs and smaller SMBs. RDX is supported by all major backup software vendors. Data Moving. Support file systems NTFS, FAT32, exFAT, ex2, ex3, and Mac OS Extended (HFS Plus). Model: SLR32. Recording Format: SLR32. Tandberg Data ASA. This is an internal tape drive taken from a server system and is working fine. Manufacturer: Tandberg Data ASA. 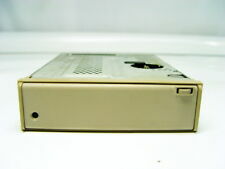 Internal 5.25” HH Tape Drive. Working when removed, used or for parts. Power cord NOT included. RDX QUIKSTOR is designed to sustain data transfers up to Up to 180MB/s (USB 3.0). Recording is fast - so is backup restoration. There is none of the rewind delay of tape systems. RDX QUIKSTOR combines the simplicity of tape based backup with the speed and flexibility of a hard drive. For use with SLR60 and SLR100 tape drive and autoloaders. Model:DATA SLR3. Service You Can Trust. We do our best to fully describe the condition of each item. This will depend on the carrier. UNIT IS IN GOOD WORKING CONDITION HOWEVER PART OF THE LCD IS BLANKED OUT. Being sold as pictured and described. FOR U.S.A. and CANADA ONLY. The COA (Certificate of Authenticity) sticker is located on the unit and has the Product Key needed to be able to load that OS on your unit. BATTERY POLICY = We do. R2 Category. any compatibility issues. RDX QUIKSTOR combines the simplicity of tape based backup with the speed and flexibility of a hard drive. Or simply run the backup software provided for a total backup of your hard drive. RDX QUIKSTOR is designed to sustain data transfers up to Up to 180MB/s (USB 3.0). For use with MLR and SLR Tandberg and IBM Tape drives. For use with SLR2/3/4/5/7/24/32/40/50/60/75/100/140 tape drives. One NEW Factory sealed. Compatible to SLR5 and QIC-4GB-DC Compatible Drives. Works with Most of the SLR5 Drives.Sony, Tandberg, Seagate, Dell, IBM, ADIC, Procom, Digital, HP, Compaq, Imation, Fujifilm, 3m, Maxell, Verbatim, Quantum. Part number: 434003. 10 tapes available. Tandberg Data. 4/8GB SCSI Internal Tape Drive. Tandberg Data RDX1000 RDX QuikStor. Model : RDX1000. Manufacturer : Tandberg. 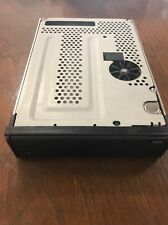 40/80GB SATA Internal Drive. Wire (national and international) transfer. Condition : 100% working condition. Here is a NEW/Factory Sealed TANDBERG VXA-2 INTERNAL IDE TAPE DRIVE..
No other accessories included. No Local pick-up.